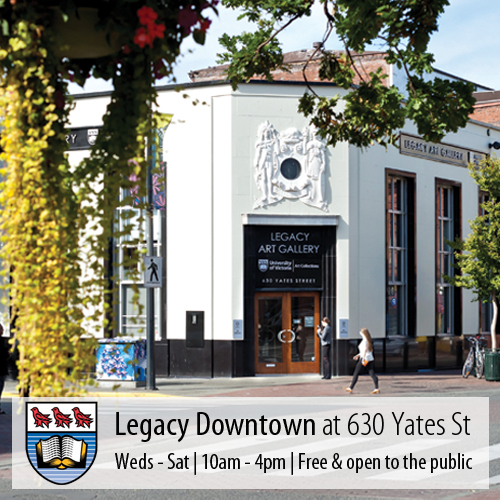 The Legacy Art Gallery Downtown is located at 630 Yates Street and is UVic’s primary gallery space. The building at 630 Yates has seen many tenants since its construction in 1951. It was first occupied by the Bank of Toronto, and until 2006 it housed Starfish Glassworks. From 2007 to 2010, it was home to the Legacy Art Gallery and Cafe. 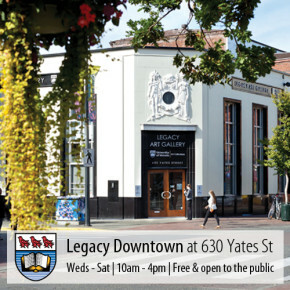 In 2011 UVic Art Collections (now known as UVic Legacy Art Galleries) moved its offices to the building, closed the cafe and gift shop, and renamed the building Legacy Art Gallery. The Legacy Maltwood (at the Mearns Centre – McPherson Library) was known as the Maltwood Prints and Drawings Gallery until October 2013. It is still located in the lower level of the McPherson Library, adjacent Special Collections. UVic displays many pieces of its collection throughout the campus. The University Centre, the Fine Arts building, the MacLaurin building, the Hickman building, the Murray and Anne Fraser building, the David Strong building, the Elliott Lecture Theatre, the Engineering/Computer Science building, and the Central Quad all feature pieces from UVic’s art collection. More extensive displays can be seen in the First People’s House, the Cornett Building and the McPherson Library. There are many self-guided art tours of different lengths that will introduce you to the art on campus, and the guides are available here. A guide for the art in the Cornett building is available here. 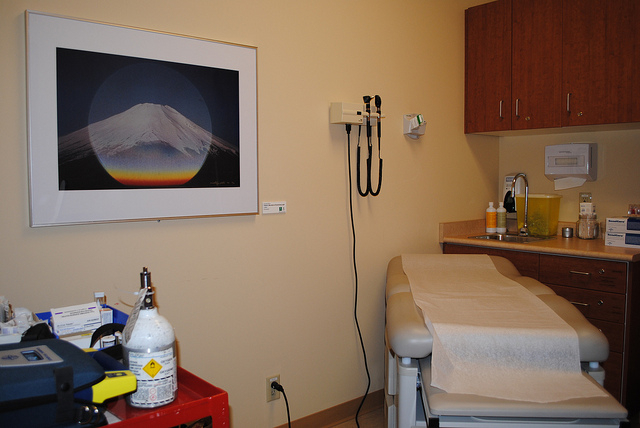 Art from UVic’s collection on display in a family physician’s office in Victoria, B.C. Works from UVic’s art collection are on display off campus at the Lieutenant Governor’s House, Dunsmuir Lodge, the Island Medical Program at Royal Jubilee Hospital, individual family physician’s offices, the Access Health Centre, and the Centre for Addictions Research B.C. UVic Legacy Art Galleries also manages the art in Swans Suite Hotel & Brewpub as part of the Michael C. Williams Collection. Throughout its history, UVic has used a number of gallery spaces to exhibit its collection. To view exhibitions by location, use the categories to navigate. The Maltwood Prints and Drawings Gallery was the name of UVic’s campus gallery space until October 2013 and focused on works of art on paper. It is now known as Legacy Maltwood and is still located on the lower level of the McPherson Library Mearns Centre for Learning, adjacent Special Collections. The McPherson Library Gallery was on the main floor of the McPherson library until 2007 and featured contemporary artists. The Maltwood Art Museum and Gallery was located in the University Centre, room B115 from 1978 to 2010. From 1964 to 1977, the Maltwood Art Museum and Gallery was located at The Thatch in Royal Oak. It has also been known as the Fireside Grill or the Royal Oak Inn, and was given to UVic as part of the John and Katherine Maltwood Collection. More information about the history of The Thatch is available here.